Matthijs was live at the Dutch television show Podium Witteman on April 15. He played ‘Passepied’ from the Suite TWV 55 Es:2 by G.P. Telemann, in collaboration with the young ensemble Radio Antiqua. 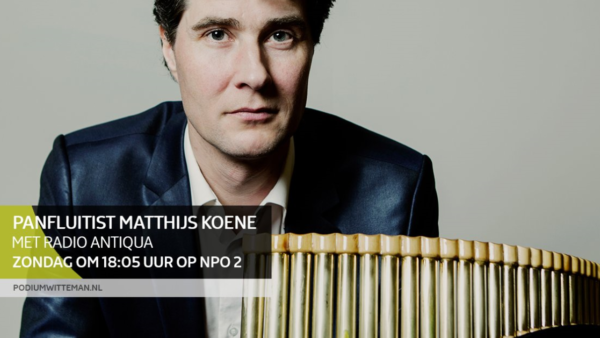 Matthijs also had the opportunity to show the possibilites of the panpipes to the hosts Paul Witteman and Floris Kortie, watch the video below (with English subtitles). Or watch the whole programme here (in Dutch and with some regional restrictions, from 26:45 about the panpipes).